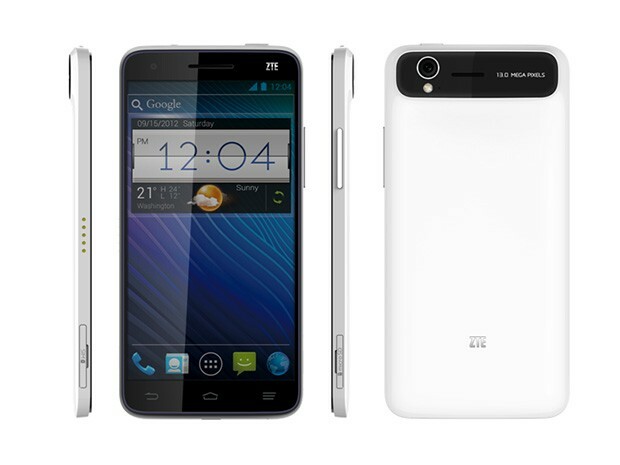 Proving once and for all that 2013 is the year of the five inch Full HD phablet, ZTE has announced the ZTE Grand S earlier today at CES 2013. Featuring similar specs as the competition, ZTE goes a step further by running the Grand S’ quad-core Snapdragon S4 Pro processor at 1.7GHz while designing the unibody chassis to be just 6.9mm thick – the thinnest in its class, according to ZTE. The Chinese manufacturer’s new Android 4.1 Jelly Bean smartphone also sports 2GB of RAM and 16GB of flash storage, complete with microSD card slot for increased storage. Also, there’s a 13MP rear shooter as well as a 2MP on in front, with both modules capable of 1080p video recording. There’s 4G LTE radios in the Grand S, too, but there’s no word yet on what bands are supported. When you consider that the device has 4G LTE and has a processor running at 1.7GHz, its 1780 mAh battery actually sounds mediocre. Finally, the ZTE Grand S will be available for online purchase in China in Q1 of this year, but the company has not revealed plans for an international release.